Moving halfway across the country to Colorado right before senior year isn't Maya's idea of a good time. Leaving behind Pratt School for the Deaf where she's been a student for years only to attend a hearing school is even worse. Maya has dreams of breaking into the medical field and is determined to get the grades and a college degree to match, and she's never considered being Deaf a disability. But her teachers and classmates at Engelmann High don't seem to share her optimism. And then there's Beau Watson, Engelmann's student body president and overachiever. Maya suspects Beau's got a hidden agenda when he starts learning ASL to converse with her, but she also can't deny it's nice to sign with someone amongst all the lip reading she has to do with her hearing teachers and classmates. Maya has always been told that Deaf/hearing relationships never work, and yet she can't help but be drawn to Beau as they spend more and more time together. But as much Maya and Beau genuinely start to feel for one another, there are unmistakable differences in their worlds. When Maya passes up a chance to receive a cochlear implant, Beau doesn't understand why Maya wouldn't want to hear again. Maya is hurt Beau would want her to be anything but who she is--she's always been proud to be Deaf, something Beau won't ever be able to understand. 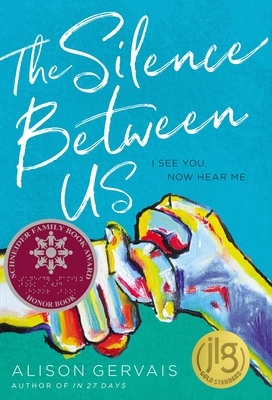 Maya has to figure out whether bridging that gap between the Deaf and hearing worlds will be worth it, or if staying true to herself matters more.